I once heard then-U.S. Rep. and now-Gov. Mike Pence, R-Ind., say something that I quite liked: “I’m a Christian, an American, a conservative and a Republican — in that order.” It quite nicely sums up how I feel. Even if you are liberal, you can substitute liberal and Democrat in and be fine. In many cases, efforts to prevent Americans from publicly celebrating Christmas are dealt with before legal action occurs. • In Plano in 2003, three elementary school children became victims of religious viewpoint discrimination in Morgan v. Swanson, what is now referred to as the “Candy Cane” case. These young students brought holiday goodie bags with candy canes that had religious messages on them and they were threatened by school officials. That case is ongoing although an initial victory has been won by the “pro Christmas” faction over the school district for infringing on the constitutional rights of the three students. • A federal judge found the Katy school district had “unlawfully discriminated” against students in a variety of ways related to celebrating Christmas. • A Frisco school district PTA email before Thanksgiving outlined a list of “Winter Party Rules” banning any references to Christmas or any other religious holiday. The email even banned the colors “red and green” and outlawed Christmas trees at school parties. Thankfully, State Rep. Pat Fallon, R-Frisco, fought these rules and the issue appears to have been satisfactorily resolved. For a time, it appeared that First Amendment Rights in America did not exist in the Frisco district. The silent majority of America is Christian. I would guess 90 percent of Americans celebrate Christmas (or other traditional winter holidays) in some form or fashion. An individual or family can decide on their own if the Christmas season should be celebrated with a religious element to it — most people do, but in America you have that Constitutional right to choose for yourself. 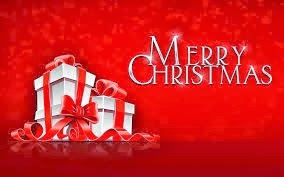 As Christmas nears, one thing we are talking about is the Merry Christmas bill. The Merry Christmas bill was passed this year to allow teachers and students to be able to celebrate Christmas in schools without fear of lawsuits. This is a great bill, but it only scratches the surface of stopping the attacks against Christianity in schools. The Texas Attorney General is on the front lines defending the religious rights of Texans and Texas Students. 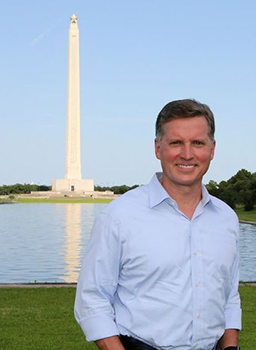 Texas Attorney General Candidate Barry Smitherman does not just stand up for Christian Conservative values, Smitherman goes out of his way to get involved. From rallying against Common Core and CSCOPE, to promoting the Merry Christmas Bill, Smitherman has been there. Just last week, Barry Smitherman went way out of his way to speak at a Women on the Wall #CanISee anti-Common Core community meeting in Frisco, TX organized by Alice Linahan. Since we are on the topic of standing up for students in Texas, I want to let everyone know about how Smitherman stood up for the religious rights of cheerleaders at Kountze High School. Many people do no know about how Smitherman went out of his way to stand up for the religious rights of students in the small east Texas city of Kountze. Kountze, TX is a small city in Hardin County in East Texas. Last year there was a battle of ideas that occurred here. The Kountze Cheerleaders made their own signs with their own money to hold up at public football games after school. 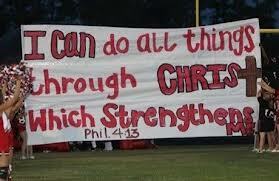 Some of the signs had encouraging Bible verses on them. The Wisconsin based freedom from religion foundation did not like that these signs had Bible verses on them. This anti-Christian organization is known for going around the country finding people to threaten with lawsuits unless they back down from anything that even mentions God. These students have a Constitutional right to express their faith, even in school. Unfortunately, many organizations and individuals do not have the money to fight a lawsuit so they just give in to the demands of the freedom from religion foundation. These students in Kountze, TX were not backing down from their faith or from their rights. The students and parents started speaking out and created a facebook group. They took a bold stand. Word started to get out about the situation and the cheerleaders got some legal help from the Liberty Institute. Texas Railroad Commissioner Barry Smitherman heard about this situation in Kountze, TX. Smitherman probably had lots of important issues on his plate, but he took time to get involved and stood up for these kids in Kountze. I am from Hardin County and I was very involved in standing up for the Kountze Kids. Barry Smitherman personally sent me a hand written statement expressing support for the Kountze Kids and standing up for their Constitutional rights. This really impressed me and this is one of the reasons why I really support Barry Smitherman. Smitherman got involved even when no one was looking. His actions are exactly what I would expect from a possible Texas Attorney General. In fact, your current Texas Attorney General Greg Abbott did get involved to defend and protect the religious rights of the Kountze Kids. Barry Smitherman getting involved over the years from Frisco to Kountze shows me that he have the values and dedication needed to be the next Texas Attorney General. Authorities say a Kansas man accused of planning to detonate a car bomb at the Wichita airport has been arrested. The terrorist wanted to drive a car full of explosives into the airport. Authorities say he is a Muslim convert. Well, I'm just shocked - stunned - speechless. A Muslim extremists. Whoever would have thought? 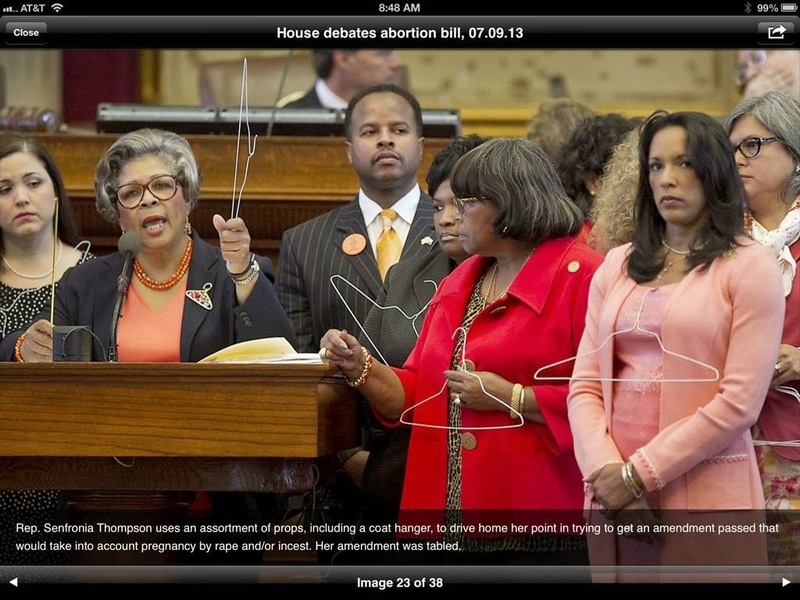 How Could Debra Medina Support Pro Abortion Joe Straus who used Democrats to Beat Republicans? The Texas 2014 Republican Primary Election has more hotly contested races than I have ever seen. From the race for Lieutenant Governor to the race for Attorney General all the way down to County Judge Races. One big race seems to always go overlooked though. The Texas Comptroller Republican Primary Race never gets much publicity, but it is a very important statewide office. I would not be a good voter or a good citizen if I did not look into who the candidates are in the Texas Comptroller race, and then try to find out who is the best candidate. There are 4 candidates in the Texas Comptroller race, Glenn Hegar, Harvey Hilderbran, Debra Medina, and Raul Torres. Right away I am drawn to Texas Senator Glenn Hegar because I have seen him over the years and he has been a very strong conservative voice in the Texas Legislature. But then I see Debra Medina's name in the Texas Comptroller race and I am intrigued. I remember when she ran against Rick Perry in 2010. Although I supported Perry in that race, I liked Medina because she took some good stances on conservative issues. So I decided to look her up on Google and check out her campaign and see what she has been up to since 2010. Boy was I VERY disappointed in what I found. I did not believe it. It must have just been a rumor about Medina. How could a strong conservative ever support Joe Straus? I liked Medina so I could not believe it. I did a little more digging and to my dismay, I discovered that it is true that Debra Medina supported Joe Straus. Not only did she support Joe Straus, she wrote a lengthy letter praising Joe Straus and bashing the conservatives who were trying to get a real conservative to replace Straus. My intent in writing about Medina supporting Joe Straus is not to try to attack Medina. At the same time, this is important information that people have a right to know about. I am dismayed and shocked and I would like to know how. How could she support someone like Joe Straus over real conservatives? Joe Straus: Supports New Taxes & Obamacare, Opposes Gun Rights, Pro Abortion,Betrayed Republicans – Texas MUST Elect a New Speaker! 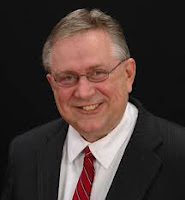 In a shocking turn of events, Tea Party Conservative Congressman Steve Stockman announced at the 11th hour on filing deadline day that he will be running for U.S. Senate against current Senator John Cornyn in the Texas Republican Primary Election March 4th, 2014. This announcement from Stockman immediately makes the Texas U.S. Senate race one of the most interesting races in America. Stockman is not the only person who filed to challenge Cornyn, but Stockman is certainly the most well-known of the challengers. 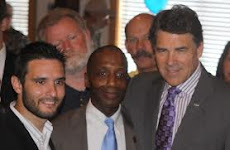 Stockman was well known for defeating Liberal Democrat Congressman Jack Brooks in East Texas many years ago. He came roaring back to Congress in 2012 to fight Obama. Stockman is considered as the most fearless conservative in the U.S. House and has a 100% lifetime conservative rating. Stockman’s record as a staunch conservative is clear, from introducing bills to stop Obamacare, to introducing bills to stop killing babies, to introducing bills to audit the Federal Reserve, to introducing bills to protect gun rights, to inviting Ted Nugent to the President’s State of the Union, to inviting the Obama rodeo clown to Texas. This announcement from Congressman Stockman has completely turned the political world in Texas, and America, upside down. Who will win is anyone’s guess, but John Cornyn certainly has a race on his hands! Senator John Cornyn is the current U.S. Senator from Texas alongside Senator Ted Cruz. Senator Ted Cruz won in 2012 so he is not up for election again this year. Senator John Cornyn took some heat when he broke ranks with Senator Ted Cruz when Cruz was fighting against Obamacare. This, among other things, caused Cornyn to draw challengers in the 2014 Republican Primary Election who say that Texas needs a more conservative U.S. Senator to serve Texas alongside Conservative Fighter Ted Cruz. 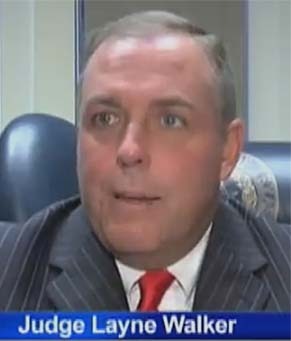 Corrupt Jefferson County Judge Layne Walker has announced that he will not seek re-election. It is believed that Judge Walker was allowed to step down or face removal by the Texas State Commission on Judicial Conduct. This is a huge victory for the people of Jefferson County, and especially a huge victory for blogger Philip Klein and Attorney John Morgan. Judge Walker has been using his State Court to go after his political enemies such as Philip Klein. Furthermore, Judge Walker even took John Morgan's kids away from him for no reason except that the Judge is personal friends with John Morgan's ex-wife. Hopefully the 9th Court of Appeals will do the right thing give John Morgan back his God Given rights as a lawful and good father to be able to see his children. Judge Layne Walker has been at the center of MANY scandals and illegal activities. 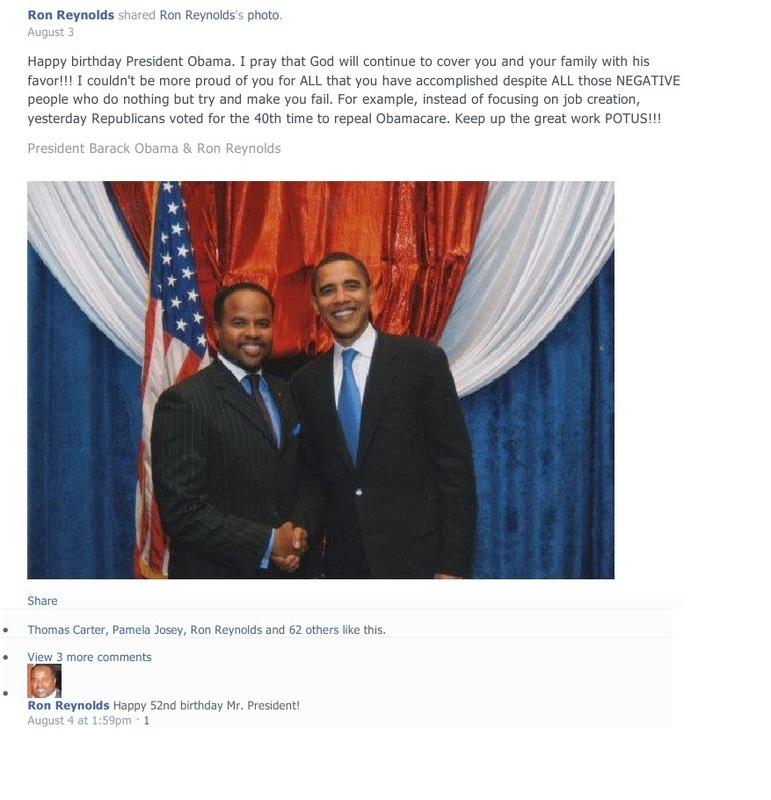 I have been closely following the massive web of corruption in Beaumont, TX and Jefferson County. Many of my article have been about Judge Layne Walker. Here are two of my most recent articles about Judge Layne Walker: Video Shows Illegal Arrest and Perjury by Texas Judge Layne Walker and Jefferson County Deputies and also Texas Judge Layne Walker Admonished by Federal Judge for using Abusive Language and Wrong Font. KBMT Channel 12 News broke the news about Judge Walker not seeking re-election. Sources have confirmed to 12News that Jefferson County 252nd Criminal District Court Judge Layne Walker will not seek a third term.Walker has been in office since January 2003, and in recent years had been the center of some controversy, and faced several lawsuits. Walker's decision comes on the eve of the filing deadline for the March primaries. 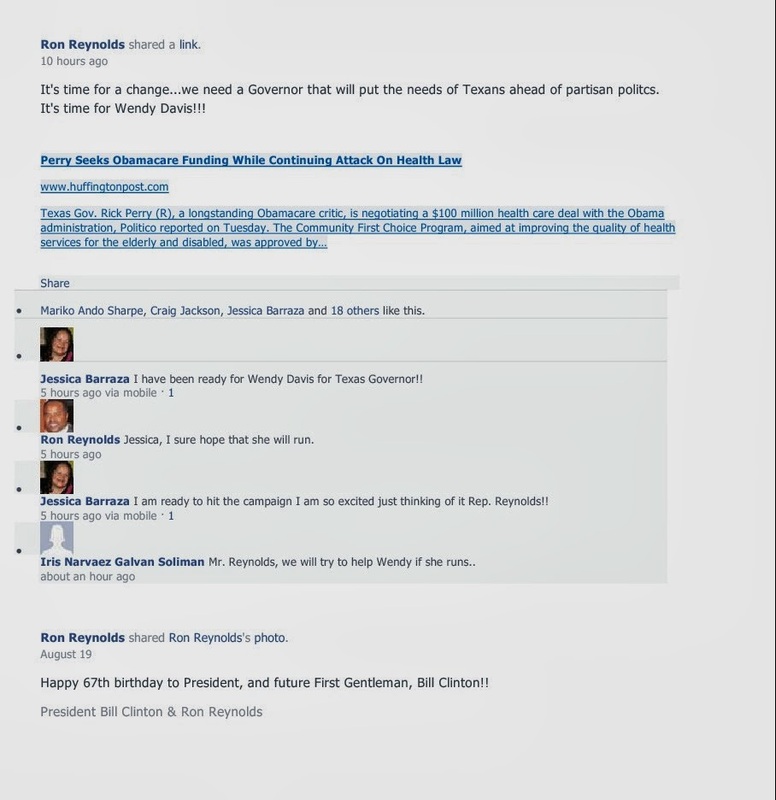 State records show that Walker had already filed as a Democrat with the office of the Texas Secretary of State. 12News reporter Vanessa Holmes called Judge Walker for comment, but he loudly expressed his displeasure with 12News, and told her he was not going to talk about the matter. He quickly hung up before any further questions could be asked. The Texas State Board of Education voted in late November in support of education reform that is in line with what Dan Patrick has publicly argued for. Even though the 2013 Texas legislative session is over, State Senator Dan Patrick (candidate for Texas Lieutenant Governor) has continued to push for better education standards in Texas. I have previously written about Patrick because he has been a leader in standing for conservative education reform. Patrick helped fight back against the liberal CSCOPE curriculum (which has still survived behind the scenes). Patrick fought for school choice and pushed for expanding the number of charter schools in Texas. Also, during previous sessions he has been one of the few legislators fighting to stop the 20% tuition tax on college students. So what was voted on recently? Well, Texas is trying to reform Texas Graduation Standards in order to better equip Texas students for graduation and for getting a job after graduating. These reforms include 5 different graduation paths that students can choose to go down in order to graduate. Texas students have different minds and different talents. These different paths will allow students to graduate with more focus on the skills and trades that better suit them, while still getting a well rounded foundation. Not all Texas students go on to college and these customized plans will better prepare Texas Students for working in the real world once they graduate. Not all of these graduation paths require all advanced fields like Algebra 2. Dan Patrick pushed to keep these different graduation paths intact and the Texas State Board of Education voted to keep them intact as well. Graduation plans, curriculum, and testing in our state's education has been the source of hotly contested debates throughout Austin and across Texas. For years, students have followed an education system to prepare them for a four-year university track. We have seen progress in this area and increased the rate of students going on to universities. The problem has been that we have neglected the hundreds of thousands of students who have no desire to attend college and drop out of school as a result. What's more, we have neglected the hundreds of thousands of businesses that desperately need new skilled trade workers entering the workforce. Jobs for Texas, a coalition of 21 industry trade organizations representing over 300,000 Texas employers was organized in response to this growing shortage of skilled laborers. Superintendents, teachers, and parents joined this effort to expand graduation options and reduce testing. Legislators in the Senate and the House heard the call loud and clear and took action to pass HB 5, which establishes a foundation graduation plan and five endorsements that students can choose. These new pathways will enable to students to work with their parents and counselors to design a graduation path that focuses on their skills and talents and better prepare them for college and careers. The collaboration and unified effort behind this legislation was unprecedented. Unfortunately, much of the focus on this groundbreaking legislation has revolved around a single course: Algebra II. Since the beginning of this discussion, we have been accused of "dumbing down" education, and "reducing rigor," largely because the legislation does not require every student to take Algebra II. No one in the Legislature or in the education and business communities has ever sought to "dumb down" our education system. Instead, we have always sought expanding options for students. The Legislature directed the SBOE to adopt additional rigorous math courses as options for students to take based upon their individual goals and talents, particularly in career and technology courses. More rigorous course options will provide opportunities for all 5 million public school students and prepare students for both college and career. Research backs this up. State and national data shows students who take a sequence of career and technology courses are far less likely to drop out of school and are more likely to go into college. Other national math experts show the importance of students learning Algebra I and Geometry in depth, and then building on that foundation with additional math courses. Algebra II is simply not necessary for every student to advance in their education. We all have the same goals, to provide rigor and relevance for all 5 million students in our public schools. If we provide all students the opportunity for rigor and relevance in school, and give them multiple graduation pathways, we will lower the dropout rate, have the workers needed for the future, and give more students an opportunity to live the American Dream.